The tires on your vehicle are more than just four wheels. As the only parts of your vehicle that actually touch the ground, they’re what make the vehicle move. Without proper tire care and maintenance, you’re putting yourself and your passengers at risk of an accident. Fortunately, many service centers, including the Norm Reeves Honda Superstore in West Covina service department, offers tire service and maintenance. Plus, there are ways to properly maintain your tires yourself. Below are just a few steps you can take to ensure your tires work perfectly. Proper tire pressure can mean the difference between staying safe or having an accident. With tire pressure, you want to find to perfect medium because both overinflation and underinflation can take a toll on your tires. If they’re overinflated, your drives will feel rougher, and the center of your tires will wear down more quickly. If they’re underinflated, you experience decreased fuel economy and hard-to-handle performance. Also, your tires could overheat at highway speeds, and the edges could wear out faster when they’re underinflated. It’s best to check the pressure in your tires once every month, as they can lose 1 lb of pressure monthly. Once your tires reach the perfect pressure, you’ll notice that your performance becomes smoother and you get better handling. To extend the life of your tires, it’s important to have the correct tire balance. Without this, your tires wear out unevenly. Common signs of improper tire balance include vibrating within your steering and chassis and if your vehicle pulls to either side. If you’re experiencing any problems with your tires, including those mentioned above, be sure to take your vehicle straight to the Norm Reeves Honda Superstore for tire services in West Covina because you need tire balance and rotation. For the best performance you can get out of your tires, you need proper tread depths. If they’re too low, the likelihood of a collision increases because this can cause loss of traction on slippery roads and hydroplaning. From there, you’ll lose control of your steering and braking control and that could lead to a serious collision or accident. To see if your tires have low tread depth, take a quarter and insert it upside down into the tread. If you can see anything above George Washington’s head, the tread is too low, and you need to replace your tires. Your tires play a crucial role for your vehicle. They allow the car to move, and when properly maintained and serviced, will extend your car’s life and keep you safe. Without the proper care, your tires can spell the end of your vehicle’s life and put you and your passengers in danger. So be sure to take note of the maintenance tips listed above to ensure your safety and protection. 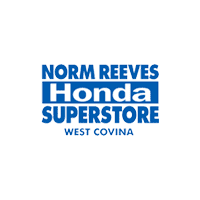 If you think your tires need maintenance or servicing, be sure to schedule an appointment with the Norm Reeves Honda Superstore in West Covina.